Harvard professor Erica Chenoweth discovered it only takes 3.5% of a population to change their world through nonviolent protests. For the U.S., that's 11 million people. She compared those stats to successful violent interventions (26%) and discovered war and armed insurrection came up short to non-violent resistance which had success rates of over 50%. Wish the New Seminole had known that when we took on the Outside. A lot of people would be alive right now if we had. Perhaps Extinction Rebellion and Greta Thunberg's weekly Climate Change Strikes are the way to go. But back then, no one was paying much attention to the "State of the Earth" and the vocal majority that were, wanted us hunted down and killed. Hopefully "giving peace a chance" will save the day but according to our favorite environmentalist, Greta the Great, we have less than 11-years to pull that off. ​Good luck with that. Really. *Based on the current world population of 7.7 billion. I want my daughter Haalie to grow up and be just like Greta. Listen to her recent emotionally charged speech at the European Parliament on Climate Change. What a contrast it is in comparison to anything Trump says or writes-- and this 16-year-old writes her own material, too. She is so worthy. And we are so lucky to have her speaking on our behalf for the future of our planet. This 24-minute interview is in English and well worth the watch. She is beyond special. The youngest nominee for a Nobel Peace Prize, I suspect God or Gaia or both sent her to get us to act now to save our planet. "We Live In A Strange World..."
Listen to Greta Thunberg's stirring acceptance speech for a Golden Kamera award in Berlin yesterday. She is muy worthy. Hopefully those who see this will join her in the cause to save us all. 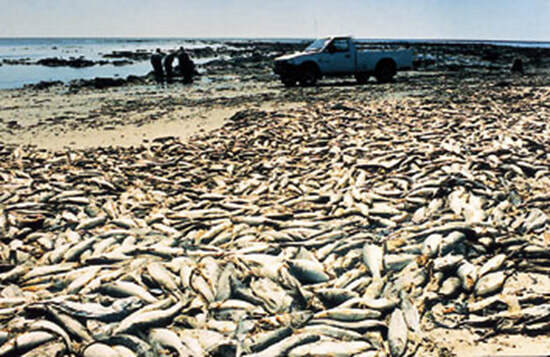 2018 Florida Gulf Coast fish kill due to algae bloom. Apparently last year's Florida algae blooms can make dolphins and us stupid. 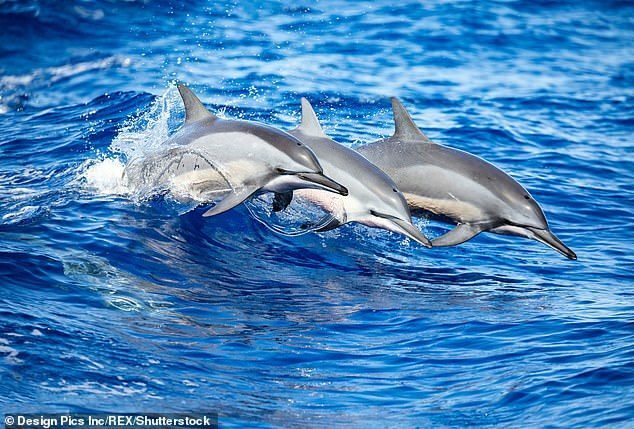 Scientists have discovered that toxic chemicals found in algae can cause Alzheimer's-like brain disease in dolphins. Fish tainted with the toxin can pass it on to those who eat them, like us. These algae blooms are directly related to climate change as the earth warms up. In Floriduh, a state held captive for two decades by Republican climate change deniers-- and the sugar cane/agri/chemical lobbies that finance their election campaigns-- 150 dolphins died during last year's Gulf Coast algae bloom. Unfortunately, I suspect nothing will be done by the state until people start dying. Especially Republican voters. How can you not? If you haven't already heard about this 16-year-old Swede who was recently nominated for a Nobel Peace Prize-- the youngest ever-- on behalf of her efforts at addressing climate change on a global platform, check out this video. She is so special and this planet is so blessed to have her living amongst us. As for her suggestion that "we can't save the world by playing by the rules..." is something the New Seminole tried at the most radical of the proactive spectrum and I can attest that didn't work and isn't the way to go. Go Greta's Way instead. 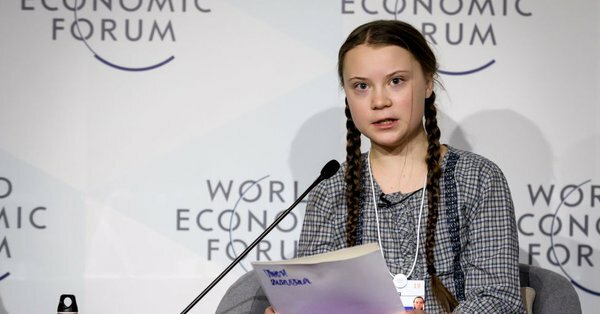 Gurl Power Rules: Greta Thunberg Nominated For Nobel Peace Prize! So proud! Only 16-years-old! You are the new Joan of Arc and your legions of teen gurls will save us all. Wish I could have been her at 16 instead of a clueless cheerleader. But then I probably wouldn't have met Nokosee and had baby girl Haalie and that trumps everything. Even the deaths of the New Seminole who fought for Gaia and the Army Rangers who fought to stop us. My new heroine, Greta Thunberg, gets a video interview by Rolling Stone. Well worth the watch. So inspiring. You gotta love her-- and all the teen girls from around the world she inspired to save Gaia. Update 3/14: Greta nominated for Nobel Peace Prize. 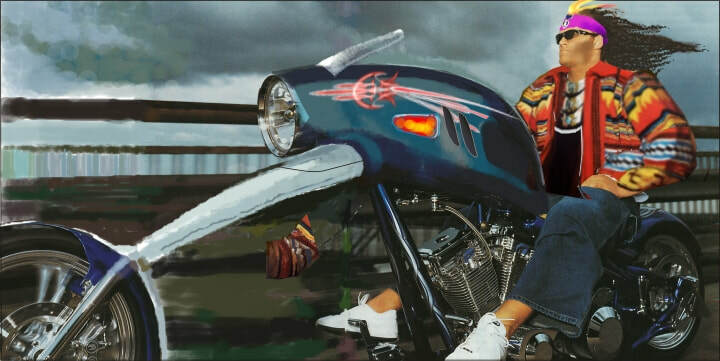 Busimanolotome Osceola riding "Osceola's Spear." I was having another slow day at the Miccosukee Embassy while doing Sanctuary and found a Brain Pickings post by Maria Popova re John Muir, the "Father of the National Parks" and founder of the Sierra Club. She centers on the epiphany he had on his famous thousand mile walk through the United States following the Civil War to the Gulf of Mexico, that all is connected in the Universe. "This star, our own good earth, made many a successful journey around the heavens ere man was made, and whole kingdoms of creatures enjoyed existence and returned to dust ere man appeared to claim them. After human beings have also played their part in Creation’s plan, they too may disappear without any general burning or extraordinary commotion whatever." That made me think of an even earlier phrase inspired by the Bible (Genesis 3:19) found in the Book of Common Prayer (1662): "... our dear brother here departed, we therefore commit his body to the ground; earth to earth, ashes to ashes, dust to dust..."
Now we know that science has shown we are all stardust and I get it, that there is a continuation, that Nature wastes nothing and the Universe is the primo recycling machine. But when I think of my father-in-law's passing, the founder of the New Seminole, I would have to argue that Busimanolotome Osceola's death was a "general burning" and did make an "extraordinary commotion" in the Universe. Especially in the Everglades where we fought Uncle Sam's Army Rangers for Gaia and lost big time. ​But at least we tried and I think the Universe took note, that it wasn't a complete waste of time and lives. 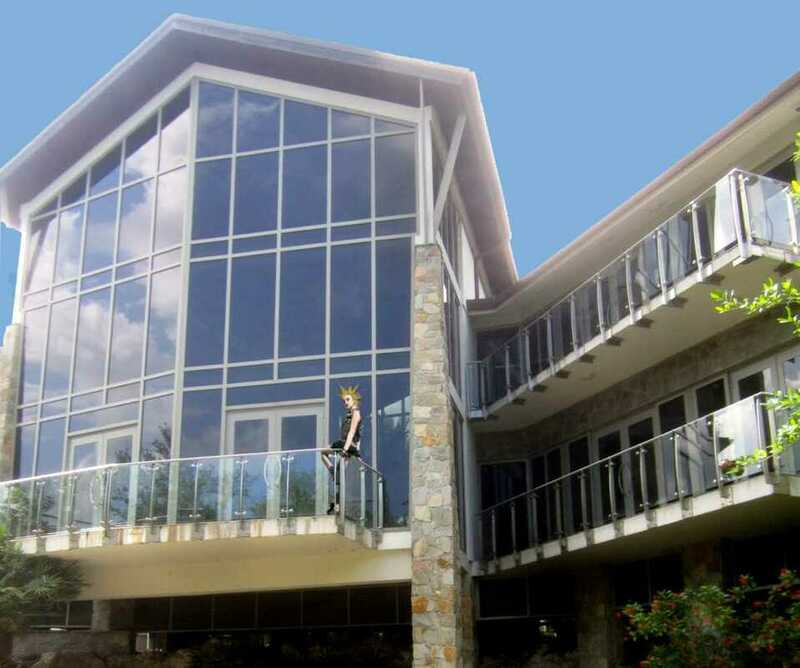 I was having a slow day at the Miccosukee Embassy where I am doing Sanctuary when I began surfing the web and read a post on Brain Pickings about the poet John Keats. Dead by 25-- a year that is racing towards me-- he was writing about his relationship with solitude, something that he came to embrace, something I'm working on putting my arms around and pulling it closely. 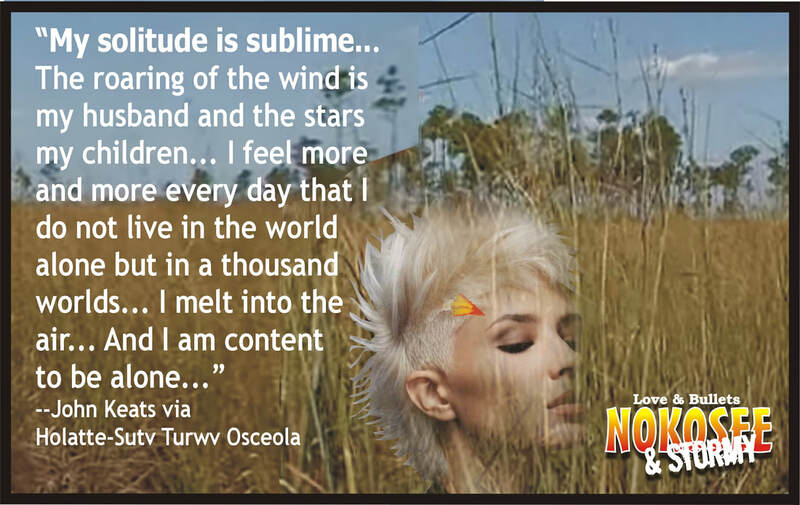 Although I have been blessed with a beautiful little girl who is as sharp and single minded as Greta Thunberg, I still yearn for the company of my husband Nokosee Osceola, the "First of the New Seminole." I think my love for him keeps me from fully embracing Keats' "sublime" surrender to Solitude. But I'm working on it. Looking out the windows of the Embassy over the rush of traffic on the 836, I close my eyes and remember when it was just Nokosee and me deep in the Everglades where its eternal silence is only occasionally pierced by the sound of a mosquito's wings as it rushes by your ear to get to your blood. I took that special time all for granted, thinking it might last forever. But if you read my books you know it didn't. That great silence soon exploded in a war with the Outside and we were on the run, always looking over our shoulders, wondering if Uncle Sam was still hunting us down.